I was ready to be sought out by those who did not ask, to be found by those who did not seek me. I said, "Here I am, here I am," to a nation that did not call on my name. I held out my hands all day long to a rebellious people, who walk in a way that is not good, following their own devices; a people who provoke me to my face continually, sacrificing in gardens and offering incense on bricks; who sit inside tombs, and spend the night in secret places; who eat swine's flesh, with broth of abominable things in their vessels; who say, "Keep to yourself, do not come near me, for I am too holy for you." These are a smoke in my nostrils, a fire that burns all day long. See, it is written before me: I will not keep silent, but I will repay; I will indeed repay into their laps their iniquities and their ancestors' iniquities together, says the LORD; because they offered incense on the mountains and reviled me on the hills, I will measure into their laps full payment for their actions. Thus says the LORD: As the wine is found in the cluster, and they say, "Do not destroy it, for there is a blessing in it," so I will do for my servants' sake, and not destroy them all. I will bring forth descendants from Jacob, and from Judah inheritors of my mountains; my chosen shall inherit it, and my servants shall settle there. Sharon shall become a pasture for flocks, and the Valley of Achor a place for herds to lie down, for my people who have sought me. But you who forsake the LORD, who forget my holy mountain, who set a table for Fortune and fill cups of mixed wine for Destiny; I will destine you to the sword, and all of you shall bow down to the slaughter; because, when I called, you did not answer, when I spoke, you did not listen, but you did what was evil in my sight, and chose what I did not delight in. Now the Spirit expressly says that in later times some will renounce the faith by paying attention to deceitful spirits and teachings of demons, through the hypocrisy of liars whose consciences are seared with a hot iron. They forbid marriage and demand abstinence from foods, which God created to be received with thanksgiving by those who believe and know the truth. For everything created by God is good, and nothing is to be rejected, provided it is received with thanksgiving; for it is sanctified by God's word and by prayer. If you put these instructions before the brothers and sisters, you will be a good servant of Christ Jesus, nourished on the words of the faith and of the sound teaching that you have followed. Have nothing to do with profane myths and old wives' tales. Train yourself in godliness, for, while physical training is of some value, godliness is valuable in every way, holding promise for both the present life and the life to come. The saying is sure and worthy of full acceptance. For to this end we toil and struggle, because we have our hope set on the living God, who is the Savior of all people, especially of those who believe. These are the things you must insist on and teach. Let no one despise your youth, but set the believers an example in speech and conduct, in love, in faith, in purity. 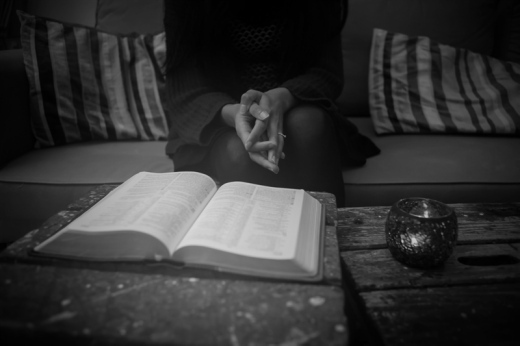 Until I arrive, give attention to the public reading of scripture, to exhorting, to teaching. Do not neglect the gift that is in you, which was given to you through prophecy with the laying on of hands by the council of elders. Put these things into practice, devote yourself to them, so that all may see your progress. Pay close attention to yourself and to your teaching; continue in these things, for in doing this you will save both yourself and your hearers. Then they sent to him some Pharisees and some Herodians to trap him in what he said. And they came and said to him, "Teacher, we know that you are sincere, and show deference to no one; for you do not regard people with partiality, but teach the way of God in accordance with truth. Is it lawful to pay taxes to the emperor, or not? Should we pay them, or should we not?" But knowing their hypocrisy, he said to them, "Why are you putting me to the test? Bring me a denarius and let me see it." And they brought one. Then he said to them, "Whose head is this, and whose title?" They answered, "The emperor's." Jesus said to them, "Give to the emperor the things that are the emperor's, and to God the things that are God's." And they were utterly amazed at him. Some Sadducees, who say there is no resurrection, came to him and asked him a question, saying, "Teacher, Moses wrote for us that if a man's brother dies, leaving a wife but no child, the man shall marry the widow and raise up children for his brother. There were seven brothers; the first married and, when he died, left no children; and the second married her and died, leaving no children; and the third likewise; none of the seven left children. Last of all the woman herself died. In the resurrection whose wife will she be? For the seven had married her." 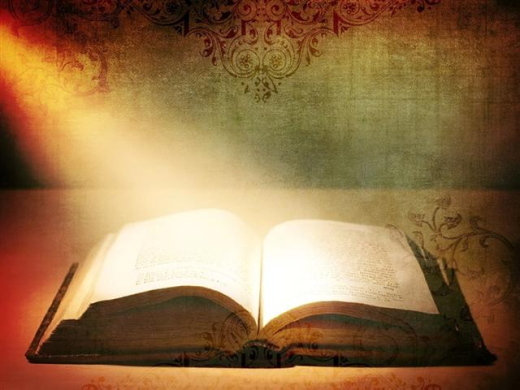 Jesus said to them, "Is not this the reason you are wrong, that you know neither the scriptures nor the power of God? For when they rise from the dead, they neither marry nor are given in marriage, but are like angels in heaven. And as for the dead being raised, have you not read in the book of Moses, in the story about the bush, how God said to him, 'I am the God of Abraham, the God of Isaac, and the God of Jacob'? He is God not of the dead, but of the living; you are quite wrong." 1 John 3:11 (NIV) [ More on Love and Hatred ] For this is the message you heard from the beginning: We should love one another. "As surely as I live, says the Sovereign LORD, I take no pleasure in the death of wicked people. I only want them to turn from their wicked ways so they can live. Turn! Turn from your wickedness, O people of Israel! Why should you die?" When the prophet Jonah very reluctantly went to the city of Nineveh and preached that God would judge them in forty days, the king of Nineveh repented of his sin and set an example for his subjects. All the people repented of their sin, and God’s judgment was lifted. In the same way, God told the people during Noah’s time that judgment was coming, but 120 years passed before it happened. The Bible says, “When a crime is not punished quickly, people feel it is safe to do wrong” (Ecclesiastes 8:11). If we get away with something, we may think we’ll never get caught. But one thing is certain: It may be ten years from now, it may be ten hours from now, or it may be ten minutes from now, but God will keep His word. We will reap what we sow. We can take that to the bank. God is in no rush to judge us. But at the same time, there comes a moment when the hammer drops, when our number is up. Understand, God doesn’t want to judge us. He says, “I take no pleasure in the death of wicked people. I only want them to turn from their wicked ways so they can live” (Ezekiel 33:11). The Bible also says that God “does not want anyone to be destroyed, but wants everyone to repent” (2 Peter 3:9). The last thing God wants to do is judge you. The last thing He wants to do is see you go to Hell. The last thing He wants to do is see your life wasted and thrown away. You were made in His image. He cares about you. And that is why He sent His own Son to die on the cross in your place and in mine. Even though I walk through the darkest valley, I will fear no evil, for You are with me; Your rod and Your staff, they comfort me (Psalm 23:4, NIV). For much of my life, I have battled fear. 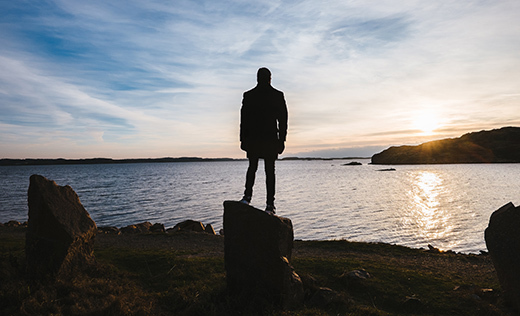 After surrendering my life to Christ, I assumed that I would no longer have to deal with fear. I soon realized that was not the case. I was confused. If God’s presence drives out fear, I must be doing something wrong. Oh, how I can relate to this little girl’s tactic. I am a master at rationalization. But there is one truth in this story that we shouldn’t miss. We must learn to face fear in total honesty instead of pretending it is something it is not. Trying to bury fear in some dark corner of our soul is pointless. Fear loves darkness. But when we drag it into the light of God’s truth, fear shrivels and dies. I began to study the Word and soon realized that the presence of God always exposes fear and lets us see it for what it really is – powerless. The only power fear can have in my life is the power I allow it to have. I asked God to lead me to the truths that would teach me how to overcome fear. It didn’t take me long to land right in the middle of Psalm 23 where God reminded me that I am a sheep and He is my Shepherd. Always in search of sweeter, greener grass, sheep tend to wander off into rocks and get into places from which they cannot escape. They will even jump down 10 or 12 feet, only to discover that they can’t jump back up again. What do they do? Bleat like crazy - and the Shepherd comes running – right? Nope! Oh, I am definitely a sheep. How about you? We often try everything and everyone else before gong to God as a last resort instead of the first place we should turn to when we are afraid. When we reach the end of ourselves, choose to face fear head on, and are willing to trust God completely, He will rescue us. Father, I want to thank You for Your goodness to me this past year. I confess that there were times when I allowed fear to overwhelm me and overpower my faith. Please help me begin this New Year with my eyes on You and my glance on the circumstances. Teach me how to walk through my fear. Right now, Father, I surrender to You and the plan You have for me in 2017. What fears have you faced this year? Was your response to these fears right or wrong? Can you believe that the clean slate of 2017 is here? A new beginning and a fresh start! However, what did we learn in 2016 that will make a difference in the weeks and months ahead? I pray that your heart and mind will look ahead to all that this year holds. Guard your heart and mind against darkness. 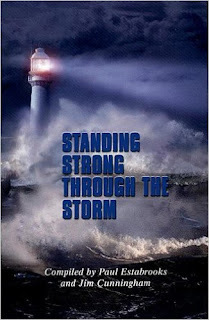 Stand firm in God’s power and presence. He is faithful and He is sufficient for whatever tomorrow brings. 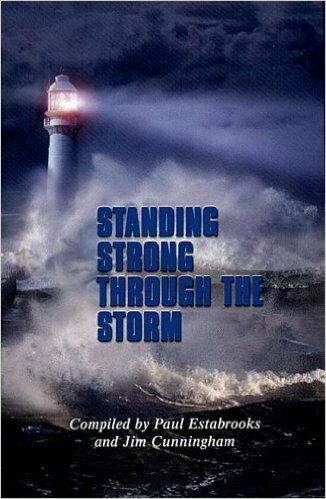 Mary’s message, Strength for the Storm, is available in CD, MP3 and E-Bible Study. LHM Daily Devotion - "Remembering"
Sir Arthur Conan Doyle was the man who made Sherlock Holmes famous. I can't be sure, but I don't think he ever wrote about the time when the great detective and his sidekick, Dr. Watson, were on safari in Africa. In the middle of the night, Holmes awoke, nudged his companion, and asked, "Watson, look up at the sky and tell me what you see." Deliberately, Dr. Watson replied: "Holmes, I see many things. Astronomically, I see millions of galaxies. From the placement of the stars, I see that time is about half-past three. Meteorologically, I can see we have every possibility of enjoying a sunny day tomorrow." Holmes asked, "Is that all you see?" Watson finally had to admit, "Yes, that's all I see. Is there more?" With a sigh Holmes said, "Yes, Watson, you are not seeing someone has taken our tent." Watson had managed to miss the single thing that should have been most obvious. In similar fashion, I see a great many people following in Watson's footsteps. Newspapers report wonderful advancements in knowledge; the radio talks about breakthroughs in technology; television points to the marvels of modern science. They tell us we live in a most wondrous time. Still, if these are the only things we see, like Dr. Watson, we're missing the most obvious. We are missing the Lord's handiwork in the affairs of humankind. Now, it would hardly be the first time such a thing has happened. The people before the flood thought they could do without God. And after the deluge they raised a tower to show their contempt of the Deity. When the Children of Israel, having seen God's miracles in Egypt and having experienced His guidance through the Sinai, were prepared to enter the Promised Land, God spoke to them. He reminded them not to forget they were there because He had brought them there. Then He concluded it all by saying, "Remember." Remember. That's what God's people in every generation are supposed to do. We are to remember . Now remembering the Lord who has given us all ought to be elementary, but it isn't. As proof, I can say every nation throughout history has managed to forget God and give into the sin of pride. Every global power, having enjoyed a period of prosperity, looks around and concludes that they -- not God -- have earned what they have. They forget. Well, we are not completely responsible for what our nation remembers or forgets, but we are in charge of our homes and our own lives. We can remember how the Lord sent His Son to be the sacrifice which saves us, or we can forget. We can remember how Jesus gave His life so we might have life, or we can forget. 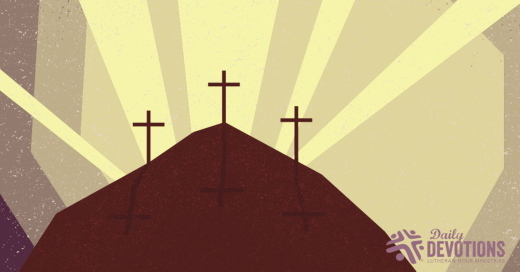 We can remember the resurrection and know it will produce a great, unending heavenly reunion, or we can forget. We can remember to thank the Savior with our lives, or we can forget. THE PRAYER: Dear Lord, every good and perfect gift comes from You. May we remember to give thanks for them and for the greatest gift of all: the salvation that is ours through our Savior's sacrifice. In His Name we pray. Amen. En el mundo de los deportes de la escuela secundaria Rochelle en Texas, la alumna Bonnie Richardson se consagró como la atleta más destacada. Salió primera en salto alto, segunda en salto largo y tercera en lanzamiento de disco. Y luego salió primera en la carrera de 200 metros y segunda en la de 100 metros. Esta alumna, por sí sola, logró acumular 42 puntos, ganando el título de Campeón del Estado. Ahora, más allá de todos los laureles y trofeos que acumulemos en esta vida, las palabras del salmista siguen siendo ciertas: la carne y el corazón eventualmente van a desfallecer. Los grandes atletas del pasado hoy están confinados a los libros de historia y a los recuerdos en la memoria de sus admiradores. Veamos lo que sigue diciendo el salmista: "Mi carne y mi corazón pueden desfallecer, pero Dios es la fortaleza de mi corazón y mi porción para siempre". Lo más probable es que a cada uno de nosotros nos llegará el momento en que el cuerpo se rehusará a obedecer las órdenes del cerebro y las cosas no funcionarán como antes. Cuando eso nos suceda, nuestro futuro nos podrá parecer sombrío y desalentador. Pero para quienes tenemos a Jesucristo como el Salvador de nuestras vidas, las cosas van a ser distintas. Porque gracias a él, sabemos que no estamos solos para enfrentar ese futuro. Nuestro Padre celestial, quien envió a su Hijo a salvarnos del castigo del pecado y de los estragos de la desobediencia, siempre está y va a estar con nosotros ayudándonos, protegiéndonos, guiándonos, y consolándonos. En él podemos confiar. Él nunca nos dejará ni nos abandonará. ORACIÓN: Señor Jesús, te damos gracias por la fuerza de la juventud. Pero también te damos gracias porque por más dolores y problemas que suframos y por más viejos que nos volvamos, tu amor y cuidado son siempre constantes en nuestra vida. En tu nombre. Amén. © Copyright 2017 Cristo Para Todas Las Naciones. La Biblia de las Américas (LBLA) Copyright © 1986, 1995, 1997 by The Lockman Foundation. In Jesus’s time, many people considered those with diseases and physical problems as sinners being punished by God. They were shunned and ignored. But when Jesus and His disciples encountered a man born blind, the Lord said his condition was not the result of sin, but an occasion to see the power of God. “While I am in the world, I am the light of the world” (John 9:5). When the blind man followed Jesus’s instructions, he was able to see. When the religious authorities questioned the man, he replied simply, “One thing I do know. I was blind but now I see!” (v. 25). 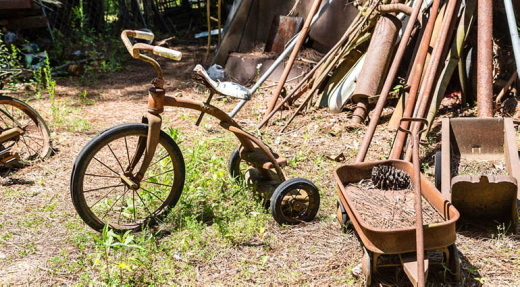 Jesus is still the greatest “junkyard genius” in our world. We are all damaged by sin, but He takes our broken lives and shapes us into His new creations. Lord, I thank You today for Your amazing grace! Jesus is the restorer of life. Noah Purifoy bắt đầu công việc nghệ sĩ “lắp ráp” của mình với ba tấn gạch vụn phế thải từ những cuộc bạo loạn năm 1965 tại khu vực Watts của Los Angeles. Từ những bánh xe đạp bị gãy vụn và những quả bóng bowling bị hư đến những lốp xe bị vứt đi và những chiếc Tivi hỏng – những thứ không còn sử dụng được nữa – anh và những đồng nghiệp đã tạo nên những tác phẩm điêu khắc chuyển tải một thông điệp mạnh mẽ về những người bị đối xử như những “thứ đáng bỏ đi” của xã hội hiện đại. Một phóng viên đã gọi Purifoy là “thiên tài ve chai, đồng nát”. Trong thời Chúa Jêsus, nhiều người coi những người bị bệnh tật về thể chất như những tội nhân bị Đức Chúa Trời hình phạt. Họ bị xa lánh và phớt lờ. Nhưng khi Chúa Jêsus và các môn đệ của Ngài gặp một người đàn ông bị mù, Chúa đã nói rằng bệnh tật của ông không phải là do tội lỗi, nhưng đó là cơ hội để quyền năng của Đức Chúa Trời được thể hiện. “Đang lúc Ta còn ở thế gian, Ta là ánh sáng của thế gian” (Giăng 9:5). Khi người mù đó làm theo sự chỉ dẫn của Chúa Jêsus, mắt ông đã thấy được. Khi những người lãnh đạo tôn giáo chất vấn người mù đó, ông đáp lại cách đơn giản: “Tôi chỉ biết một điều, ấy là trước tôi đã mù mà bây giờ thấy được” (c.25). Chúa Jêsus vẫn là “thiên tài ve chai” vĩ đại nhất trong thế giới của chúng ta. Chúng ta ai cũng bị tội lỗi hủy hoại, nhưng Ngài đã đón nhận cuộc đời tan vỡ của chúng ta và nắn chúng ta nên những tạo vật mới của Ngài. Lạy Chúa, con cảm ơn Ngài vì ân điển diệu kỳ của Ngài! Chúa Jêsus là Đấng phục hồi cuộc đời. 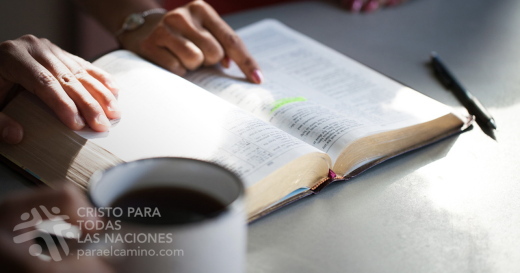 … una cosa sé, que habiendo yo sido ciego, ahora veo (Juan 9:25). Noah Purifoy empezó como artista de «recolección» con tres toneladas de escombros de los vandalismos de 1965 en una zona de Los Ángeles, Estados Unidos. Desde ruedas de bicicletas rotas y bolas de boliche hasta llantas desechadas y televisores dañados —cosas ya inservibles—, él y un colega crearon esculturas que transmitían un enérgico mensaje sobre cómo la sociedad moderna «descarta» a las personas. Un periodista se refirió a Purifoy como «el genio de la basura». En la época de Jesús, muchos consideraban que quienes tenían enfermedades y problemas físicos eran pecadores a quien Dios estaba castigando. Entonces, los evitaban e ignoraban. Pero, cuando Jesús y sus discípulos se encontraron con un hombre que había nacido ciego, el Señor explicó que su estado no se debía al pecado, sino que era una ocasión para ver el poder de Dios: «Entre tanto que estoy en el mundo, luz soy del mundo» (Juan 9:5). El ciego siguió las indicaciones de Jesús y pudo ver. Cuando las autoridades religiosas le preguntaron, él simplemente contestó: «una cosa sé, que habiendo yo sido ciego, ahora veo» (v. 25). Jesús sigue siendo el gran «genio de la basura» del mundo. El pecado nos dañó a todos, pero Él toma nuestras vidas rotas y crea una nueva. Señor, te agradezco por tu gracia asombrosa. Jesús es el restaurador de la vida. Noah Purifoy begann seine Laufbahn als „Assemblage“-Künstler mit drei Tonnen Abfall. Aus kaputten Fahrradrädern und Kegelkugeln über entsorgte Reifen bis hin zu kaputten Fernsehern—Dingen, die nicht mehr gebrauchstüchtig sind—schuf er mit einem Kollegen Skulpturen, die eindrücklich bewusstmachen, wie Menschen von der modernen Gesellschaft als „Abfallprodukte“ behandelt werden. Zu Jesu Zeiten hielt man Menschen, die von Krankheiten oder körperlichen Problemen gequält wurden, für Sünder, die Gott strafte. Sie wurden verachtet und ignoriert. Aber als Jesus und seine Jünger einem Mann begegneten, der blind geboren war, sagte er, die Blindheit dieses Mannes sei nicht die Folge einer Sünde, sondern eine Gelegenheit, Gottes Macht zu erleben. „Solange ich in der Welt bin, bin ich das Licht der Welt“ (Joh. 9,5). Als der Blinde Jesu Aufforderung folgte, konnte er sehen. Als die frommen Führer ihn befragten, sagte er einfach: „Eins weiß ich, dass ich blind war und bin nun sehend“ (V.25). Jesus ist immer noch der größte „Schrottkünstler“ der Welt. Die Sünde hat uns alle kaputt gemacht, aber er nimmt unser zerbrochenes Leben und formt daraus etwas Neues. Herr, ich danke dir heute für deine erstaunliche Gnade! Jesus bringt das Leben wieder in Ordnung. Noah Purifoy a amorcé sa carrière d’artiste d’« assemblage » avec pour matière première trois tonnes d’ordures récupérées après les émeutes survenues en 1995 dans la région de Watts, à Los Angeles. À partir notamment de roues de vélo cassées, de boules de jeu de quilles, de pneus usés et de téléviseurs endommagés – des choses inutilisables –, un de ses collègues et lui ont créé des sculptures au message puissant concernant les gens que l’on traite comme des « détritus » au sein de la société moderne. Un certain journaliste a surnommé M. Purifoy « le génie de la décharge ». À l’époque de Jésus, beaucoup de gens considéraient les malades et les infirmes comme des pécheurs que Dieu avait ainsi punis. On les évitait et l’on ne faisait aucun cas d’eux. Lorsque Jésus et ses disciples ont croisé le chemin d’un homme né aveugle, le Seigneur a toutefois indiqué que son état ne résultait pas d’un péché, mais constituait l’occasion de faire voir la puissance de Dieu : « Pendant que je suis dans le monde, je suis la lumière du monde » (JN 9.5). Quand l’aveugle s’est mis à suivre les directives de Jésus, la vue lui a été accordée. Lorsque les autorités religieuses d’alors ont questionné l’aveugle, celui‑ci leur a simplement répondu : « [Je] sais une chose, c’est que j’étais aveugle et que maintenant je vois » (V. 25). Jésus reste le plus grand « génie de la décharge » du monde, car de nos vies brisées par le péché, il fait de nouvelles créations. Jésus est celui qui restaure la vie. Ноа Пуріфой почав свою справу як “митець збирання” з трьома тоннами різного непотребу, що він назбирав після заворушень у 1965 році в Уоттсі, передмісті Лос-Анджелеса. Використовуючи різні зламані і вже нікому не потрібні речі – від велосипедних коліс і м’ячів боулінгу до пошкоджених шин і телевізорів, – Ноа зі своїм колегою створював скульптури, що дуже яскраво відображали життя тих знедолених, яких у сучасному суспільстві вважають за непотріб. Один із журналістів назвав містера Пуріфоя “генієм звалищ”. За часів Ісуса суспільство загалом вважало людей з хворобами та фізичними вадами грішниками, що їх покарав Бог. Їх уникали, ігнорували. Але коли Ісус з учнями зустрів одного чоловіка, що був сліпим від народження, Господь вказав, що його сліпота є не результатом гріха, а можливістю продемонструвати Божу силу. “Доки Я в світі, Я Світло для світу” (Ів. 9:5). Сліпець послухався наказів Ісуса, завдяки чому отримав зір. Коли релігійні лідери почали допитуватись колишнього сліпця, як він прозрів, той просто відповів: “Одне тільки знаю, що я був сліпим, а тепер бачу!” (Ів. 9:25). Ісус і тепер залишається найбільшим у світі митцем. Всі ми пошкоджені гріхом, але Його праця – взяти наше зламане життя і зробити з нього шедевр. Господи, дякую Тобі сьогодні за Твою чудову благодать! Ной Пьюрифой начал свою работу «художника-собирателя» с трех тонн булыжников, оставшихся на улицах Лос-Анжелеса после беспорядков в 1965 г. От сломанных велосипедных колес и шаров для боулинга до изношенных автопокрышек и сгоревших телевизоров – из всего этого он с помощниками создает скульптуры, которые повествуют о людях, ставших «отбросами» в современном обществе. Один журналист назвал Пьюрифоя «мусорным гением». Во дни Иисуса Христа многие люди с болезнями и увечьями считались грешниками, наказанными Богом. Их презирали и изгоняли. Но когда Иисус, идя с учениками, увидел слепого от рождения человека, Он сказал, что его состояние – не результат греха, а возможность для Бога проявить Свою силу. «Доколе Я в мире, Я свет миру», – сказал Он (Ин. 9:5). Исполнив все, что велел ему Иисус, слепой прозрел. Иудеи стали расспрашивать прозревшего о подробностях, а он просто ответил: «Знаю, что я был слеп, а теперь вижу» (Ин. 9:25). Иисус – по-прежнему величайший художник, способный создавать великое из ничтожного. Мы все испорчены грехом, но Он берет нас в Свои руки и превращает в новое творение. Господь, благодарю за Твою изумительную благодать! Иисус Христос – восстановитель жизни.